Considering a switch over to T-Mobile once the Nexus 5 is announced? Then now isn’t a bad time to think about purchasing your prepaid SIM starter kit. Not only will an order over the next couple of days ensure that it will arrive on time for launch, but the price has been slashed from its normal $10 spot. 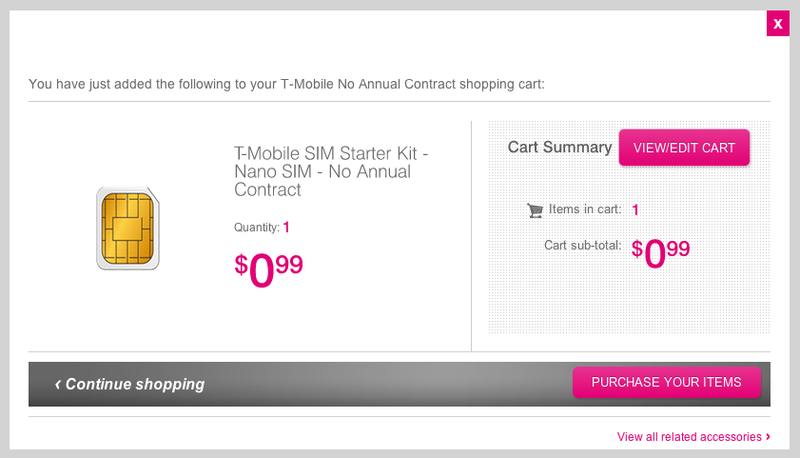 T-Mobile is currently selling their prepaid SIM starter kits for $0.99 with free 2-4 day shipping. That’s a 90% discount if you were looking for additional reasons to jump on this. For those not familiar with prepaid T-Mobile plans, I’d suggest at least checking out the $30 unlimited data and text plan, because it offers up to 5GB of full speed 4G data. You do only get 100 minutes of talk, but do we really make phone calls anymore? I’m kidding of course, but if you wanted to test out T-Mobile service or at least their data coverage, this is a great option. And while it’s not 100% confirmed until Google announces the phone, it’s looking like the Nexus 5 will use a micro SIM card.